Nestled in downtown Wilmington is one of the premiere wedding venues in Wilmington : The Brooklyn Arts Center. The B.A.C is one of our favorite spots in Wilmington and we really enjoy photographing here. It is a magical place inside and out, and it is within just minutes of the beautiful waterfront and other amazing scenery in the surrounding area. My only complain is that we do not get to photograph here too often. Angela & Andrew found us because they attended one of my best friends weddings that we photographed last year. We are so glad they found us, because they were literally a perfect match to work with. They trusted us to do whatever we needed to do to capture their day. We had fun getting to know them during the process as they are an amazingly sweet and fun couple. We started out with the rehearsal dinner on Friday night at Elijah's restaurant on the waterfront. We arrived early on Saturday and captured all of the details, hair and makeup, all the way up until the grand sparkler exit. 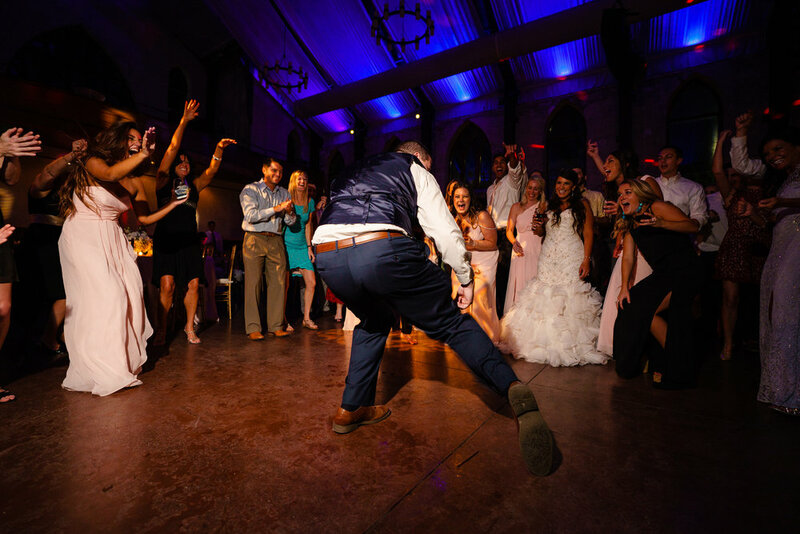 One of our favorite things to capture is the dancing at the reception and we jumped right in the action and captured some fun moments during this as well. Enjoy reliving their day below.